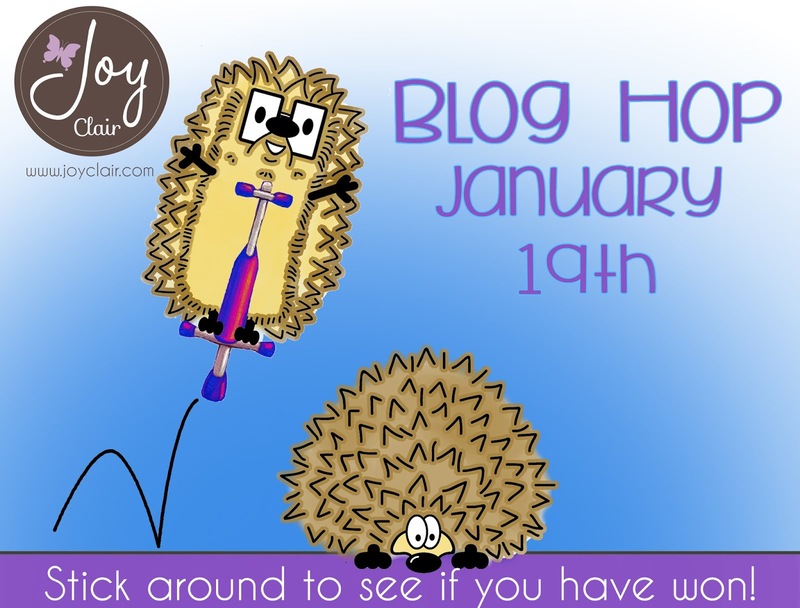 Welcome to the Joy Clair January Release Blog Hop! The design team has been working hard creating a variety of projects that are sure to spark your creativity juices! 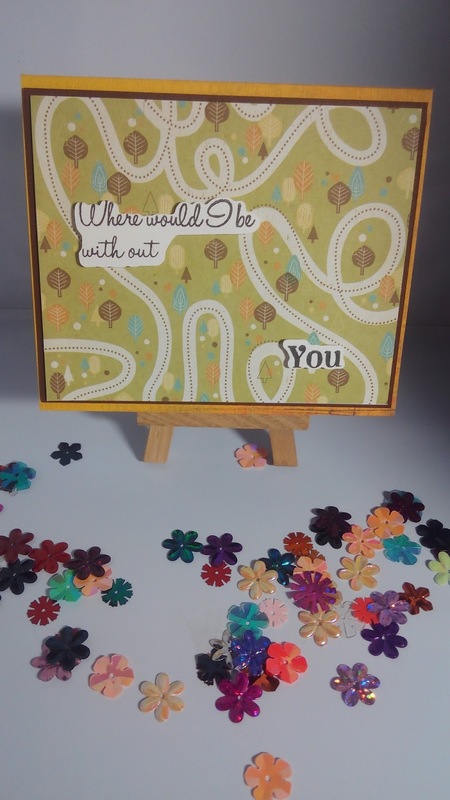 You should be arriving from the talented Crystal R's blog. 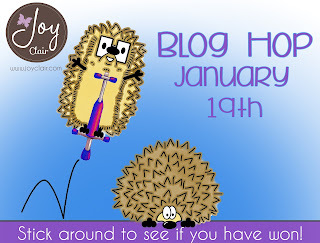 If you happened to join the hop in the middle, please start at the Joy Clair blog! Joy Clair’s January release contains four everyday stamp sets and four stamp sets from their new bible journaling line, Color by Faith! All stamp sets will be on sale 25% off starting at 10:00am EST on January 19th. The entire bundle will be available for $80.00! With these cute little guys I wanted to have them playing around. 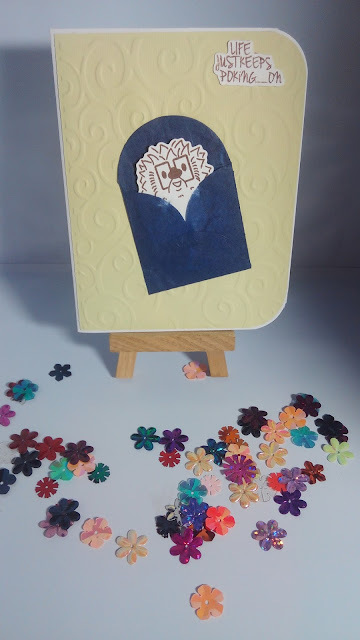 so using my cameo and the wonderful svg cut file, I made masks and had fun. This little guy looked a little tired to me, so he is all bundled up and ready for a nap on his way to the recipient. I absolutely love the svg files that can be purchased on the JoyClair website. 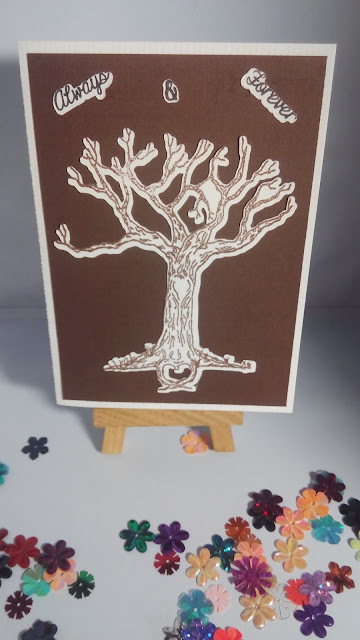 My first thought when I saw this stamp set was a family tree book, and we Always & Forever is just a great sentiment to go with it. 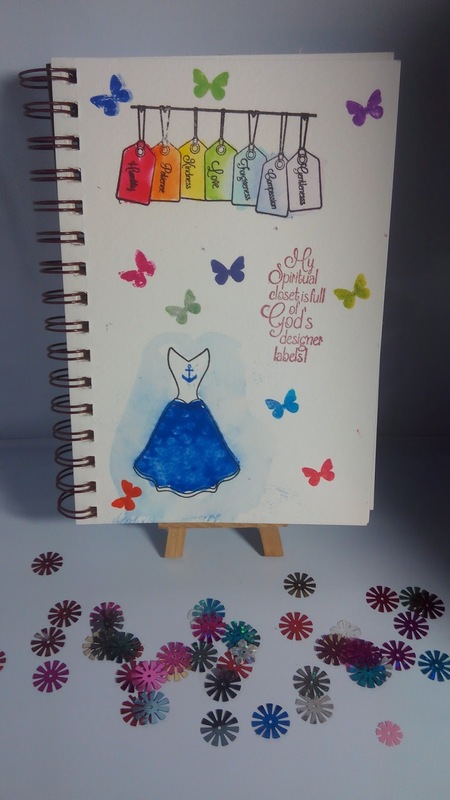 Making a bookmark for my bible I love this God's Love stamp set. 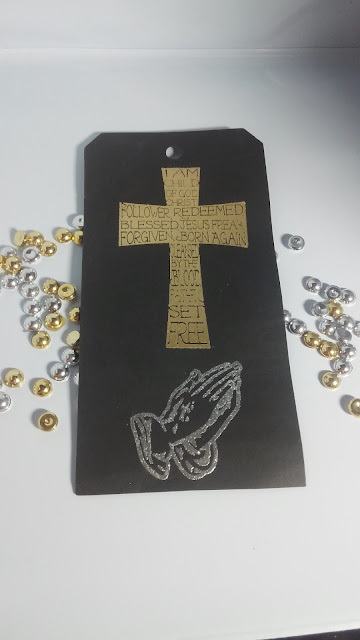 Using both silver and gold embossing powder to bring it all together. 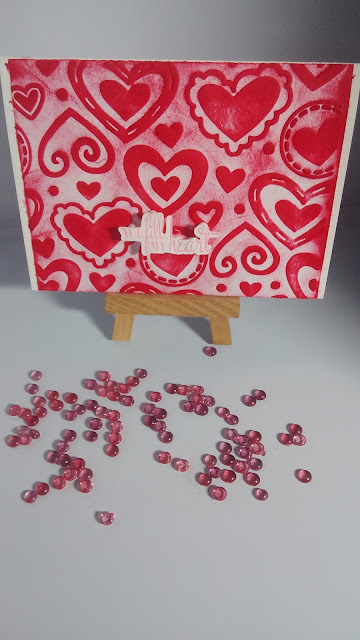 Using a Darice embossing folder and some red ink I was able to make the pretty back ground for the simple sentiment "You Fill My Heart". And then I decided to have a little fun. This is another darice embossing folder with eyes all over it. I cut the double hearts with the SVG file, and made it into shakers like glasses. With the saying "You are all I see", and a set of black eyes down below. 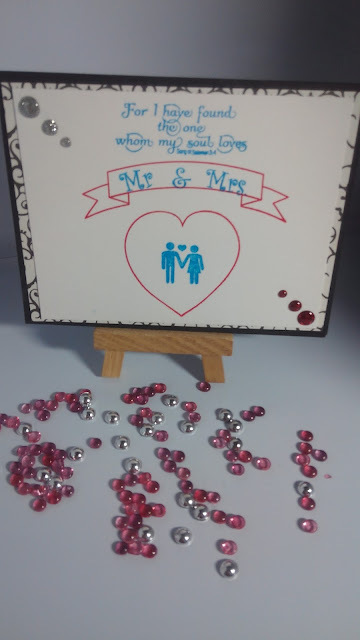 Thinking about my oldest daughters upcoming wedding, I decided to play with this set to make a little wedding card. "Where would I be without you"... LOST, walking in circles and backtracking like the path in this background. This was actually the first design I did out of this months release. Using my Zig clean color real brush markers to give a washed out water color look. 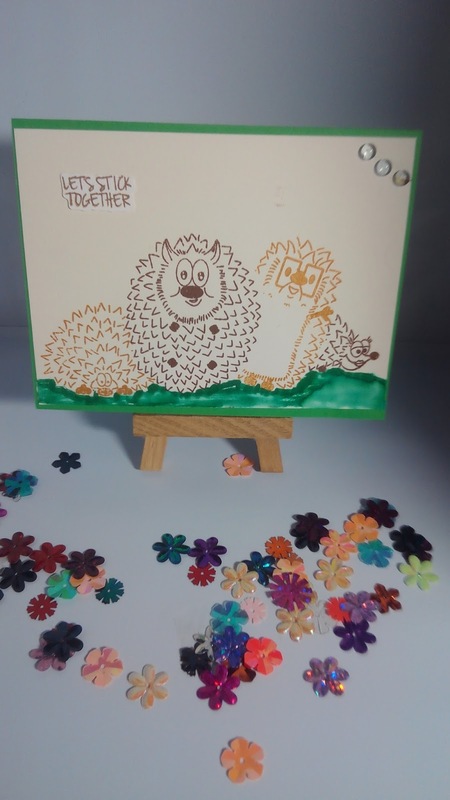 I hope you have enjoyed seeing what fun I have had with these stamp sets, and can't wait to see the creations you come up with as well. Now let’s talk about prizes! There will be THREE winners from the blog hop. Each winner will receive a stamp set of their choice from the new release! All you have to do is leave a comment on each of the blogs throughout the hop! You have until January 22, 2016 at midnight EST. The winners will be announced by Monday, January 25th. Beautiful LeeAnn. I really love the hedgehogs!!! lovely cards LeeAnn very sassy ans CAS cards. Great creations, I love all the details. Hugs! Great project and I love the pink and white project using Love quotes. Wonderful pieces of work! Thanks for sharing these projects! Love, love, love all of these wonderful inspirations! Lee Ann: I did not realize that Joy Clair has SVG files! I am headed to the online shop right now, but not before I say how your work has inspired me. Thank You! 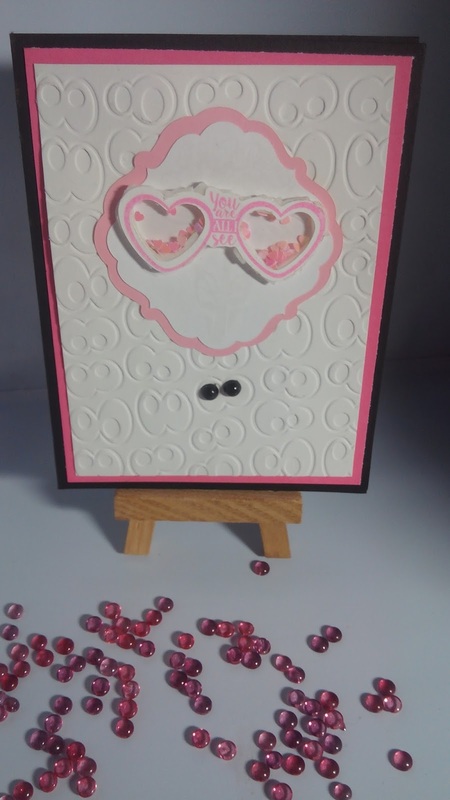 Le Ann your cards are beautiful!! !